Stay at Sebasco Midweek & Golf for Free! Sebasco Harbor Resort would like to invite you to come stay Midweek in May or June & Golf for Free! Book any of our comfortable accommodations and we'll treat you to unlimited golf on every day of your stay, including arrival & departure days. Package rates vary with accommodation and start at $119 per night in our Main Lodge. Sebasco Harbor Resort Golf Course reserves the right to change price and offer at anytime. Prices and offer are subject to change without notice. 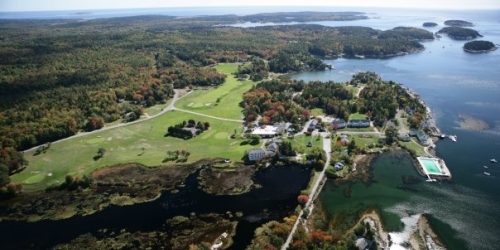 MaineGolf.com is not responsible for errors posted in this golf package.